No European vacations for us. No African safaris or walking the Camino de Santiago. 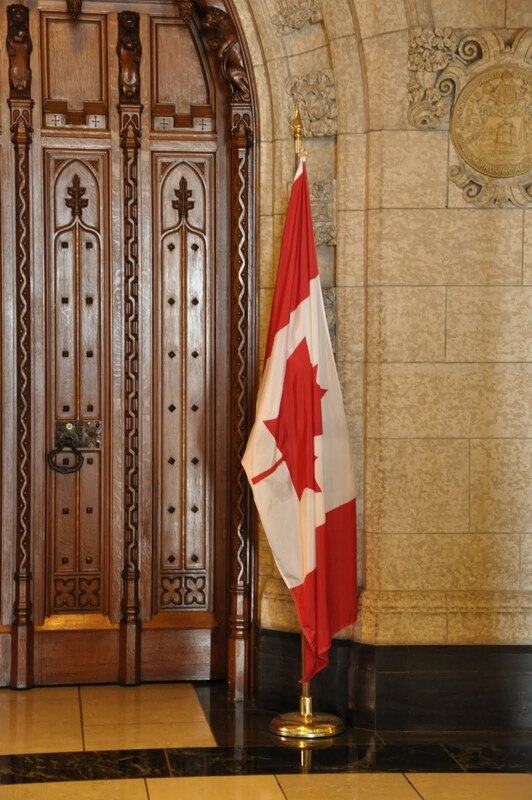 And that’s okay for this year since some very important personal projects have given us an Ottawa centric summer. In between all the unexpected and emotional, we have worked hard to steal wee breaks when we can and enjoy our fair city. Having out of town visitors with us for a time, definitely helped with our picks. Let me share a few of these delights. 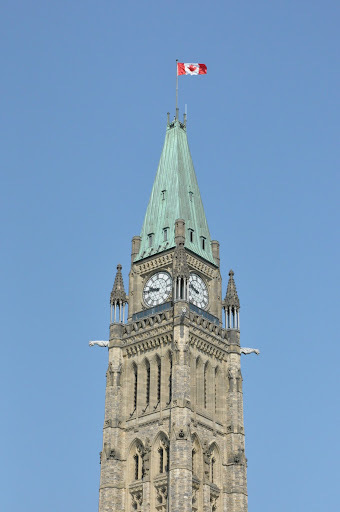 Perhaps you will consider doing an Ottawa ‘staycation’. 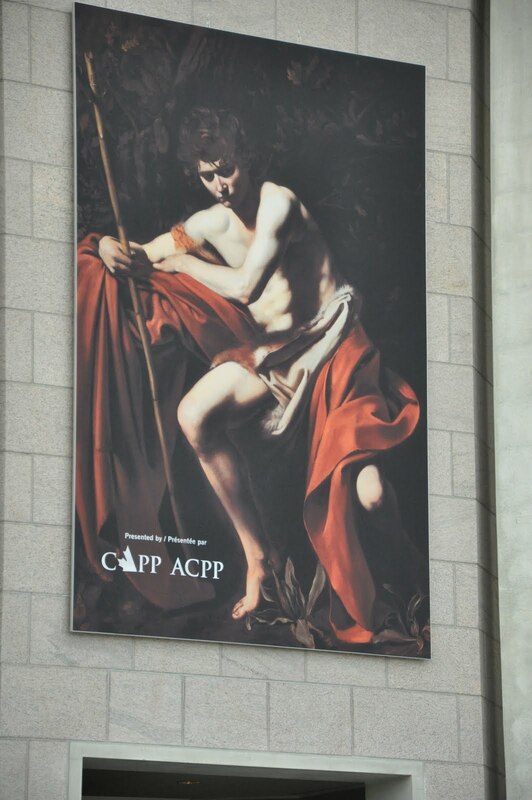 My biggest thrill this summer was seeing the Caravaggio exhibit at the National Gallery of Canada. Unfortunately the mister couldn’t join me. I participated in a guided tour with my book club. I decided years ago that bringing along a talking expert suited my art exploring experience best. I need the nuances spelled out for me. To hear a bit about the history of that time. I love the chance to ask questions. It is well worth the $7. Plus we had collapsible chairs to have a seat at each stop. The entrance fee to the gallery was $12 since I was part of this larger group. 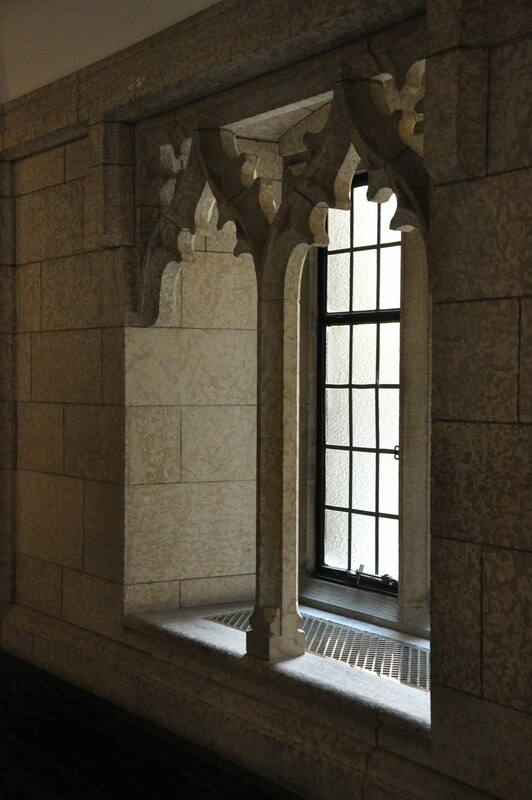 Following the exhibit, I spent time, as I always do, reacquainting myself with the art work in the Canadian collection. 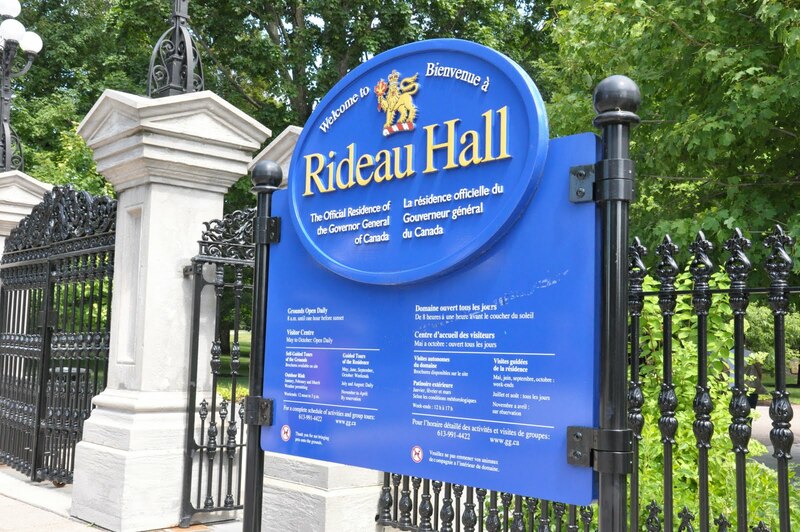 This proved to connect well with my tour of the Parliament Buildings and also Rideau Hall later in the summer. 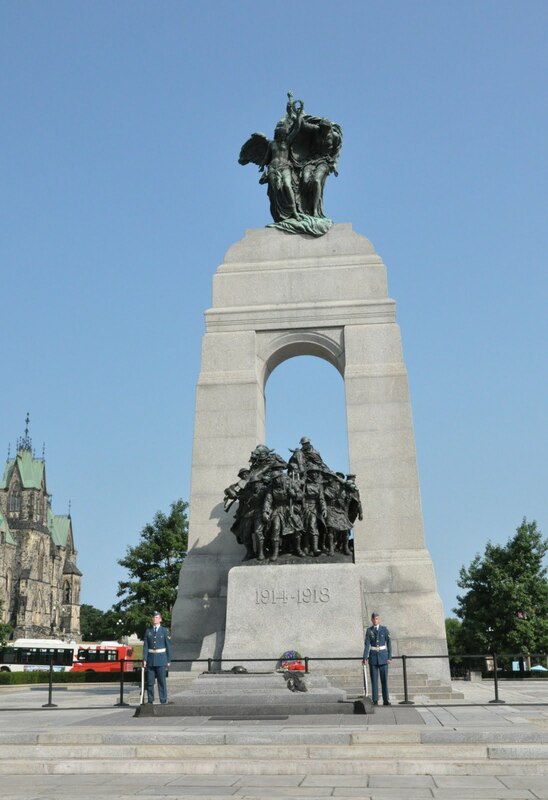 We like to go to the moving Remembrance Day service held at Confederation Square each November 11. But in reality, the sacrifices made by our fallen soldiers, is something that gives us our freedoms everyday. I appreciated having my own quiet moment by the memorial recently on a hurried day downtown. Their commitment was great. Two minutes of silence before this granite cenotaph has the same gripping reminder for us on a sweltering hot day as it does in bone chilling windy November. 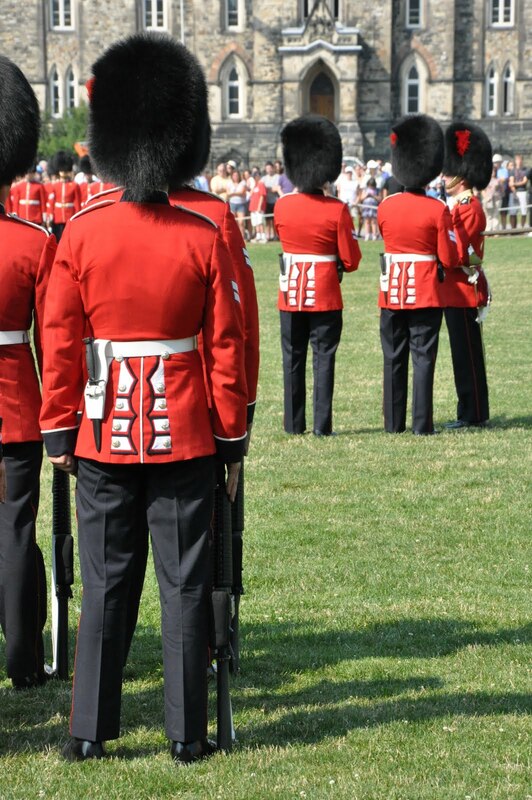 Weather permitting, you can witness the ceremonial changing of the guard on Parliament Hill, each day at 10:00 am. It lasts 30 minutes. 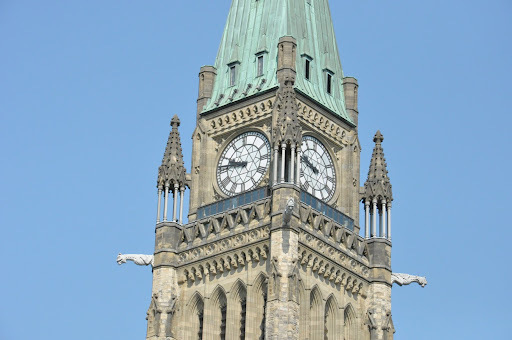 To get a good view by the ropes, you should consider coming to the hill for 9:30 am. I stood on the east side in a bit of shade. Consider appropriate sun protection. 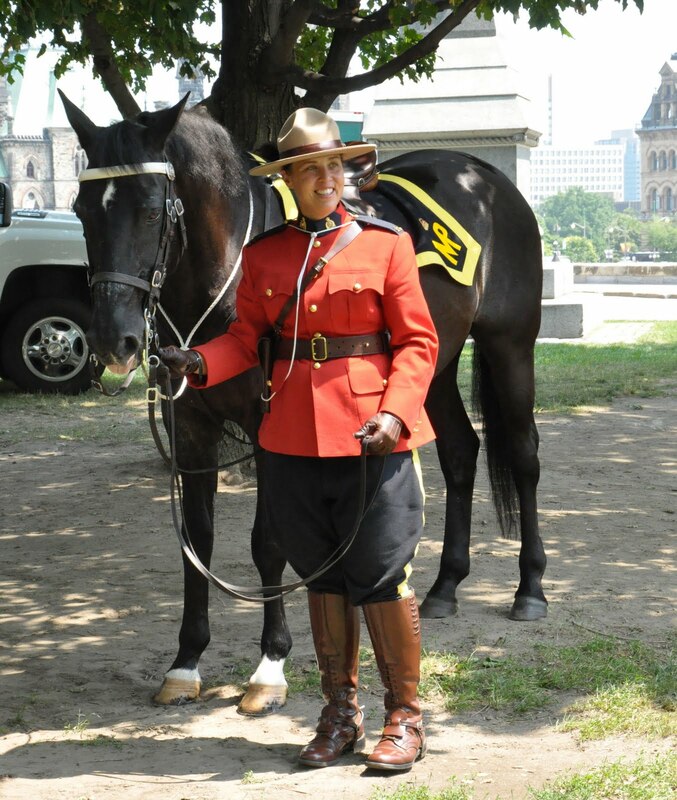 Although the actual ceremony begins at 10 am, there is a presentation at 9:45 am that gives some interesting history. Worth hearing. 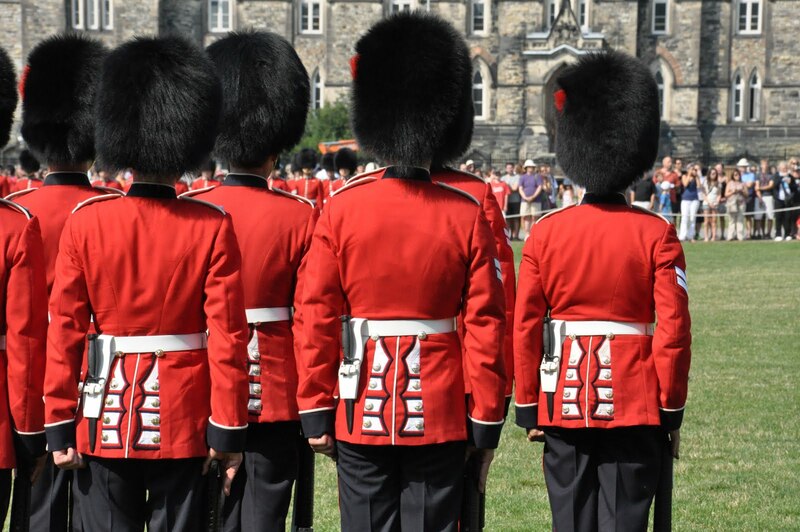 The price is right for this show of pomp and circumstance – Free! Hurry though. This event ends Friday, August 26th. This tour is a must for every Canadian at some point in time in their lives. Each time I go, I tend to be captured by some theme. 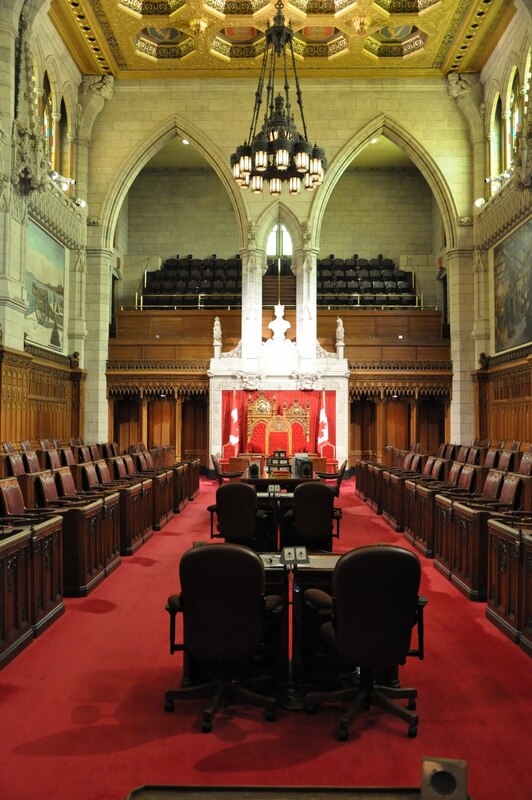 The obvious first, understanding parliament’s place in our democracy. 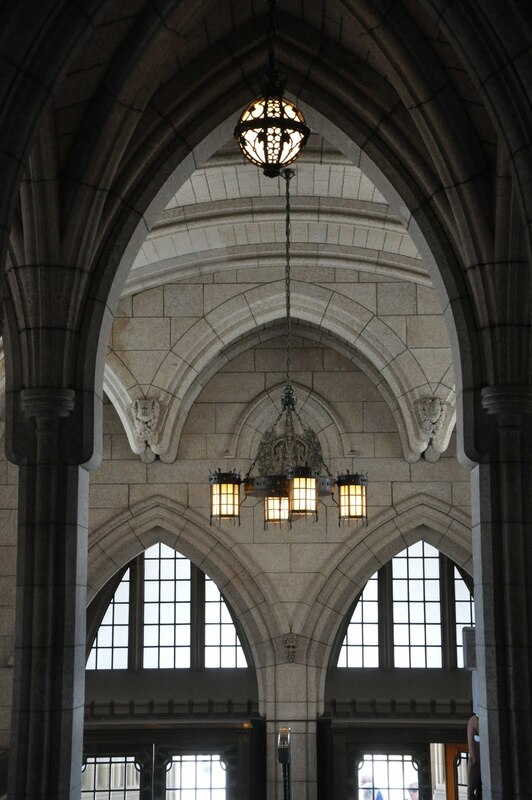 Other times I have focused on the beautiful neo-Gothic architecture and the rich architectural history. 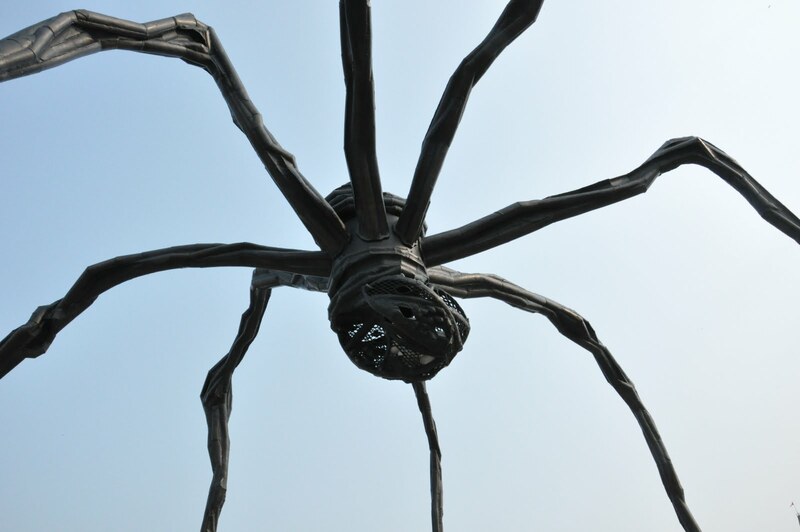 This time, I felt more taken in by the art work. I wished I had better pictures to show. I think the art work could be a tour unto itself. 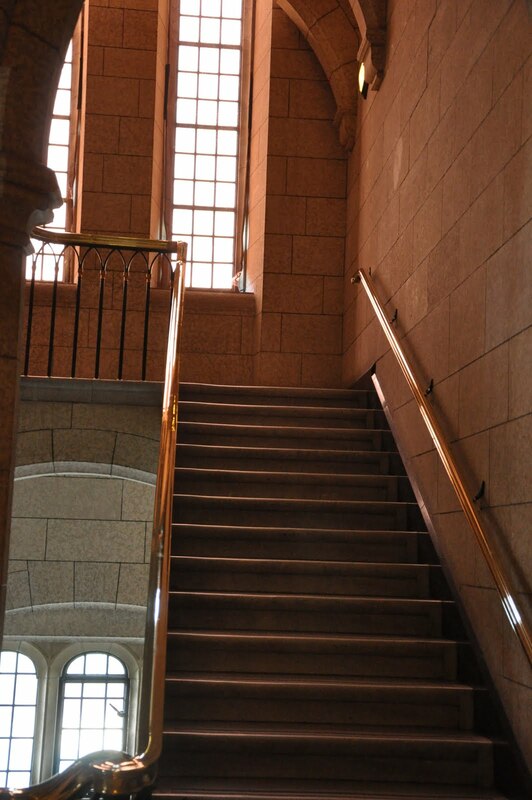 We were not able to go up the Peace Tower since the elevator was out of service but we were able to climb the stairs to visit the Memorial Chamber. Also a must see. Again, the price is right – Free! 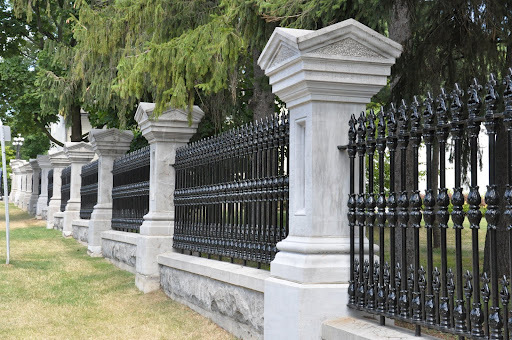 Tours run Monday to Friday from 9 am to 7:20 pm and then on the weekend from 9 am to 4:20 pm. 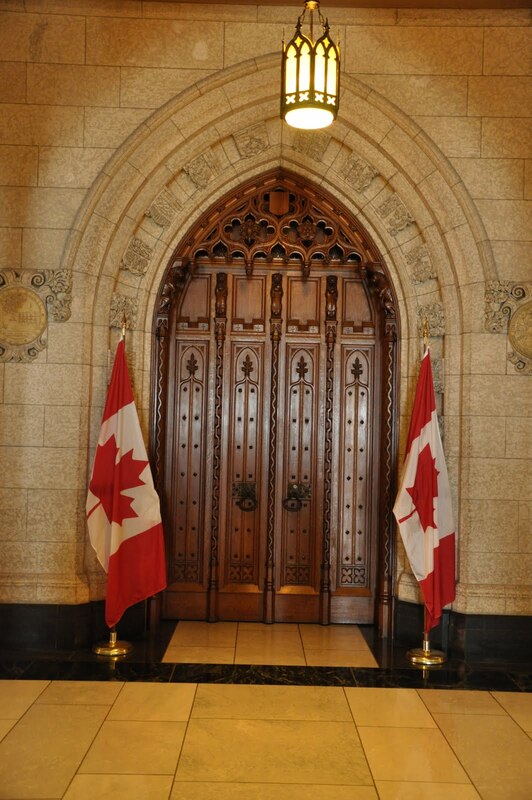 You can get your free same-day tickets from the Info Tent on the east side of the Centre Block. It’s white and big. You can’t miss it. Our tour guide was informative and fun. Once through security (this takes a bit), the actual tour was less than one hour. Set aside 90 minutes in your schedule as not to feel rushed. 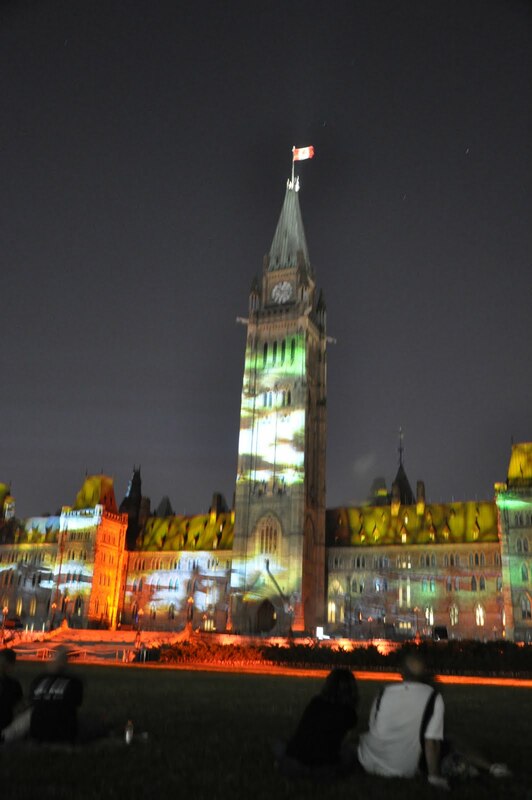 This show tells the story of the history of Canada with sound and light with the Parliament buildings acting as the canvas. 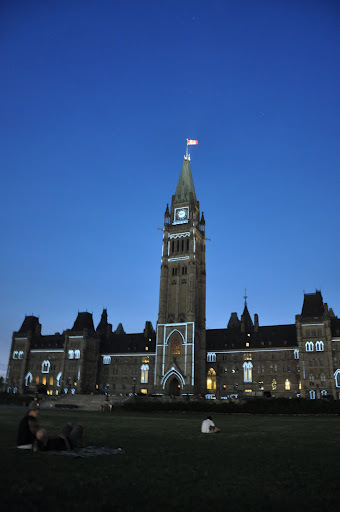 It begins at 10 pm each night on Parliament Hill. Come about 9:30 pm to claim a good spot on the lawn. 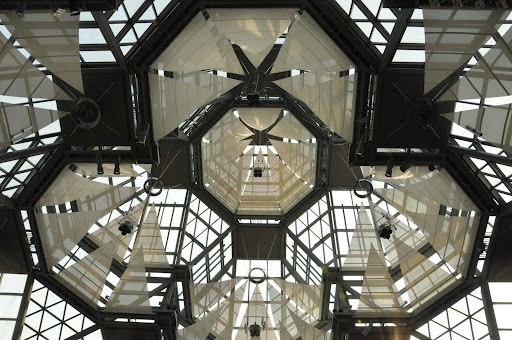 If you have been to the National Gallery of Canada and the Parliament Buildings already, your knowledge of Canada is starting to weave together. This event ends Monday, September 5. And the price? You guessed it – Free! Yousuf Karsh is Canada’s most famous portrait photographer. 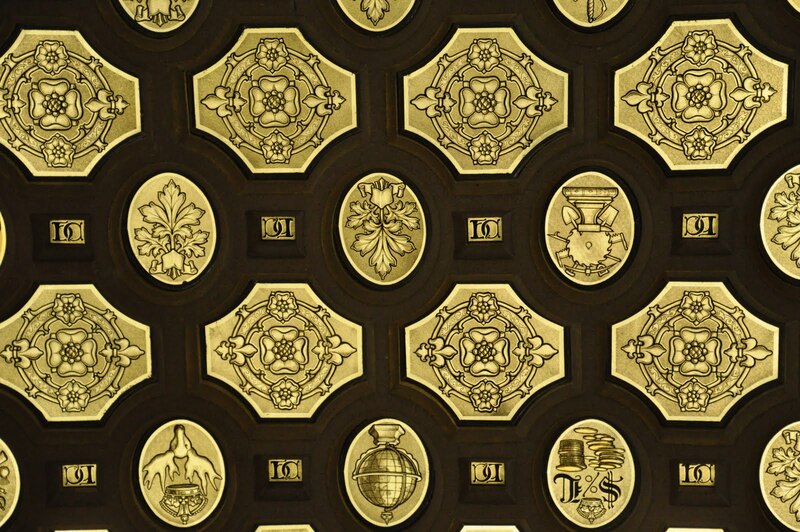 As you stroll through the lobby of the historic Fairmont Chateau Laurier you can see some of his works such as: Winston Churchill, Albert Einstein, Stephen Leacock, Georgia O’Keeffe. Consider taking in afternoon tea in Zoé’s Lounge. 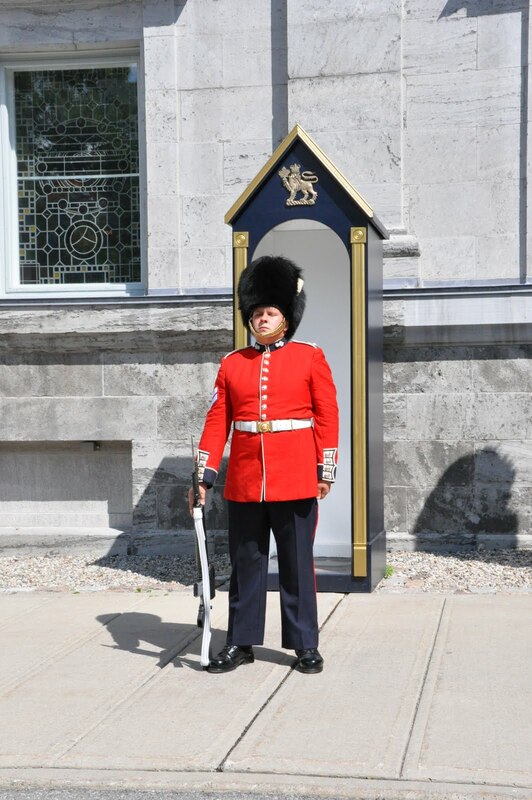 Whether you are a monarch or not, the guided tour of Rideau Hall is worth it to catch a further glimpse into Canada’s history. 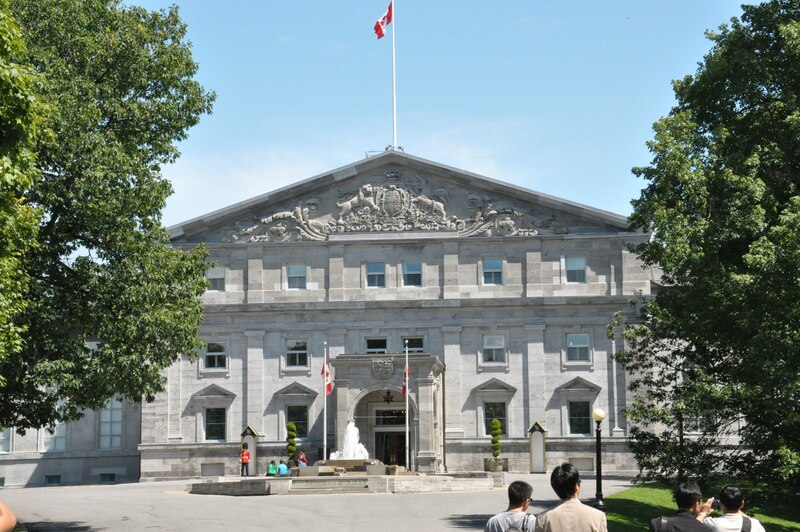 It is the official residence and workplace of the governor general and the only one of the six official residences that is open to the public. Again, I was attracted to the art collection. I would love it if they spoke more about the pieces and the artists. 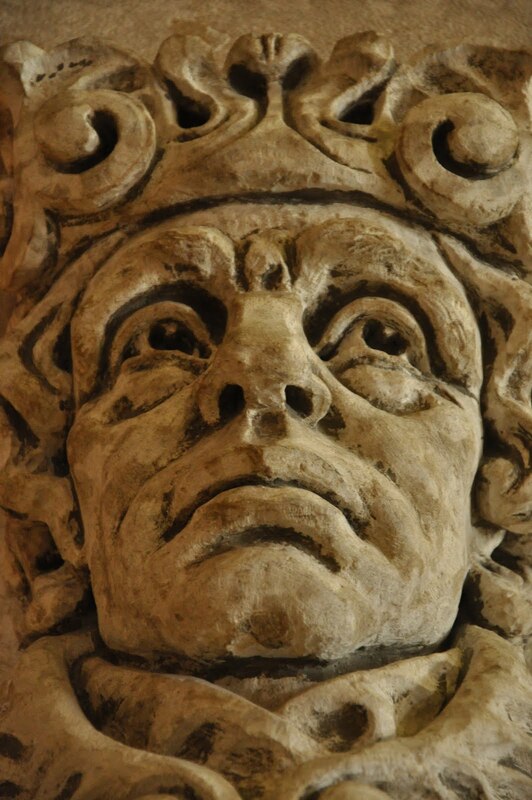 Guided tours of the residence are free of charge and last approximately 45 minutes. 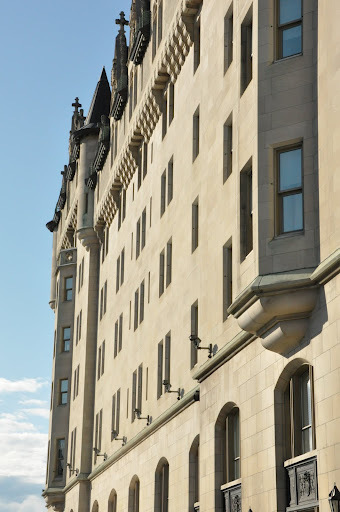 As you approach the residence, you will see where you can book your tour time. The grounds themselves are open from 8 am until an hour before sunset. The residence is on 79 acres. There is also a grounds tour if you would like to check out every bit of it. More details for planning your visit can be found on their website. 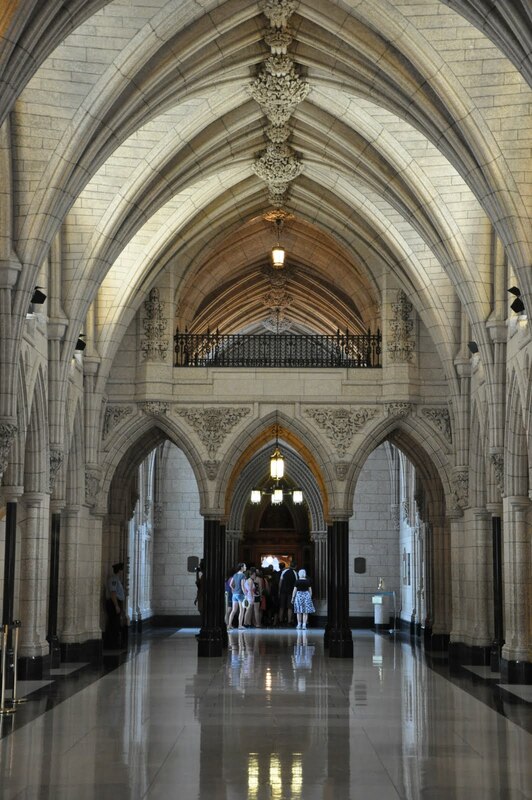 No visit to the Nation’s Capital would be complete without trying one of our famed regional dishes – poutine! Apparently poutine has its origins in Quebec and the love for this food has now made its way across Canada. 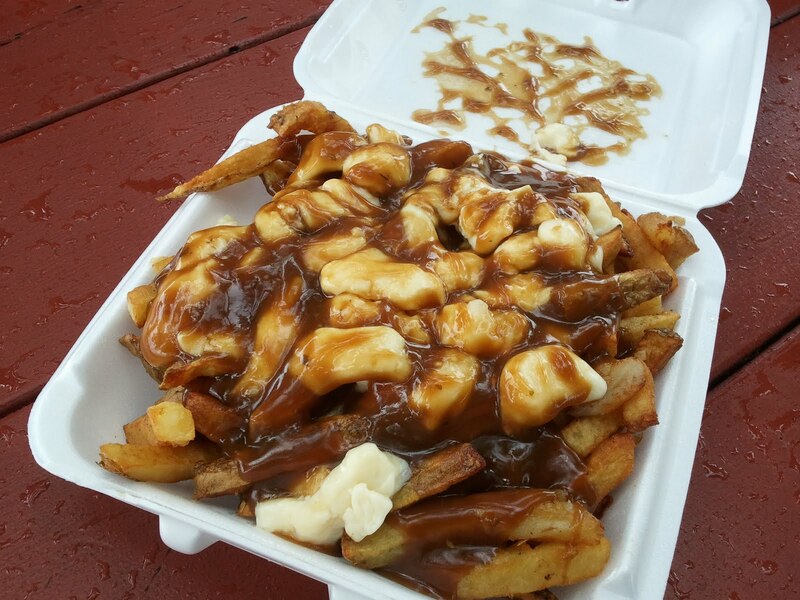 I would say there is a definite concentration of poutine houses still mainly in Quebec and on the fringes. (Which includes the Nation’s Capital!) A good poutine has to have fries that are crisped well to withstand the saucy gravy. The gravy should not be too salty. The cheese component works well if it is St. Albert’s cheese curds. Shredded cheese will not do. We consulted the experts for just the right destination and then made our way to S & Fries at Carling and Maitland. A full picnic table of keen tasters dug in. Perhaps a dish only a Canadian could love.